ORIGINAL 1986 QUIEX AUDIOPHILE pressing with Sterling Sound and DMM (Direct Metal Master) etched in dead wax. Vinyl has some light surface sleeve scuffs/hazing holding grade down. Side one label has light wear while Side two label has heavy wear. 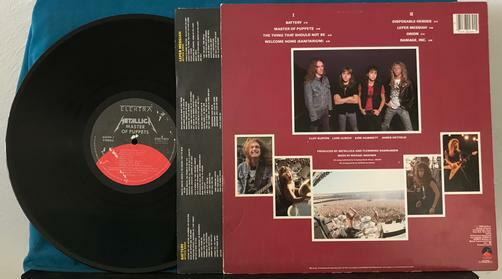 Original lyric inner sleeve has light handling wear, cornerwear, edgewear, and splitting in the center of all three edges. Cover has cornerwear, edgewear, ringwear, hazing, and spidering around the edges. If you’re not familiar with Quiex, it's like this: As CDs began coming on the scene in the 1980s, record companies started pressing Quiex II lps for primarily for radio stations. The idea was to show that vinyl was still king and sounded as good--or better--than CDs. MOST Quiex pressings were marked as Quiex that were shipped to radio. 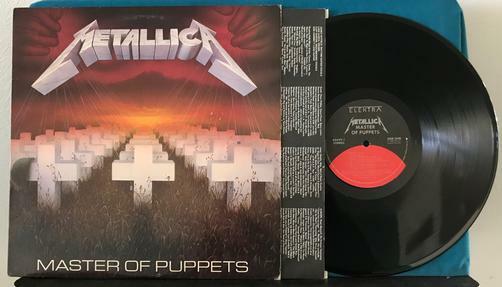 But if too many were pressed, they were packaged as regular LPs and those lucky enough to unknowingly buy them were then blessed with clearer sound! This translucent brown Audiophile beauty IS one of those pressings.